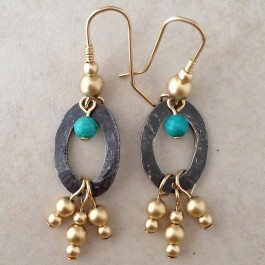 Sterling silver ovals with gold filled and turquoise beads. Small sterling silver ovals are hammered and oxidized and then adorned with gold filled and turquoise beads. 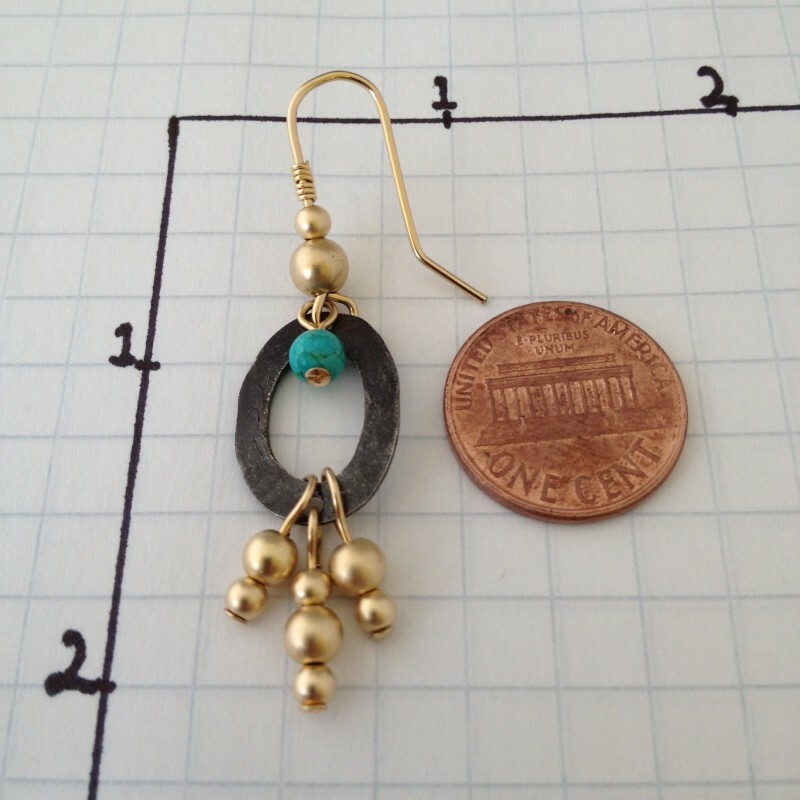 2" long, 1/2" wide.